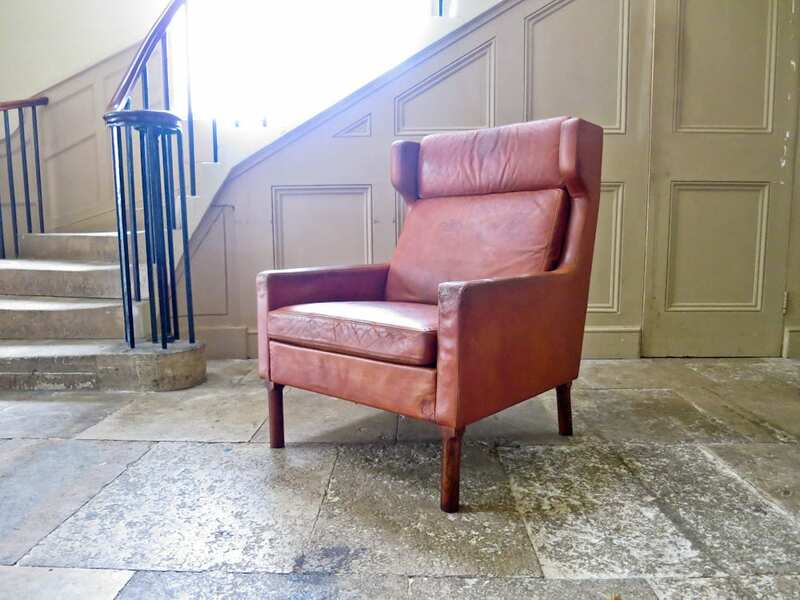 A magnificent leather wingback armchair model 7801 designed by Arne Vodder for Fritz Hansen in the 1960’s. 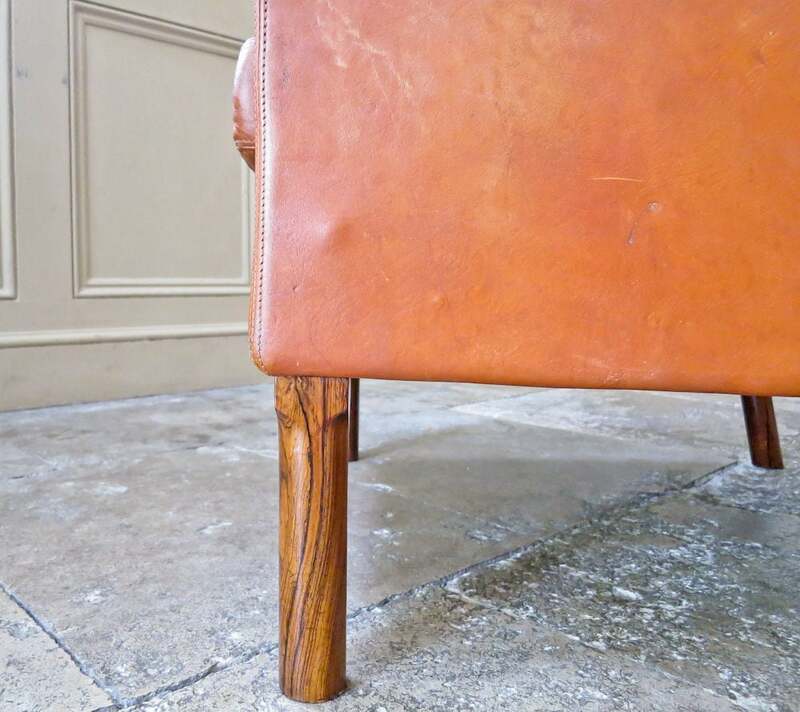 Beautiful original patinated cognac leather resting on solid rosewood legs, all in an excellent original condition. 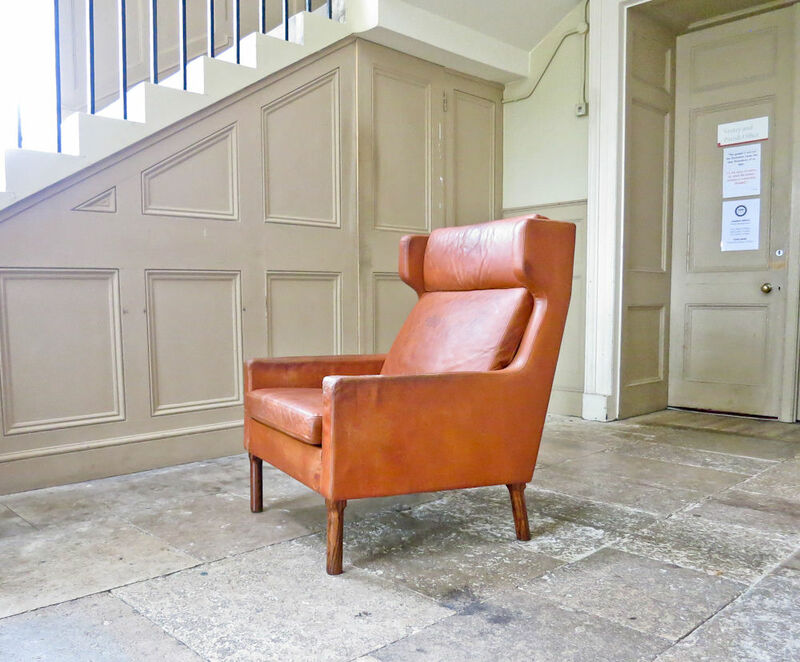 Beautiful rich colour and patina to the aniline leather gives this chair real character. 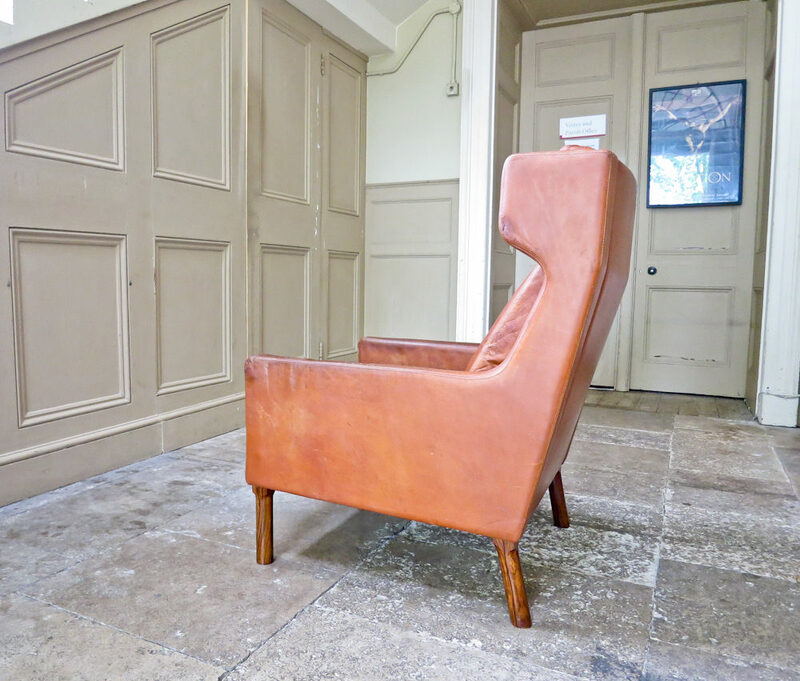 An attractive design by Arne Vodder a very comfortable wing back armchair with lovely warm amber colours offset by the rich dark tones of the rosewood legs. 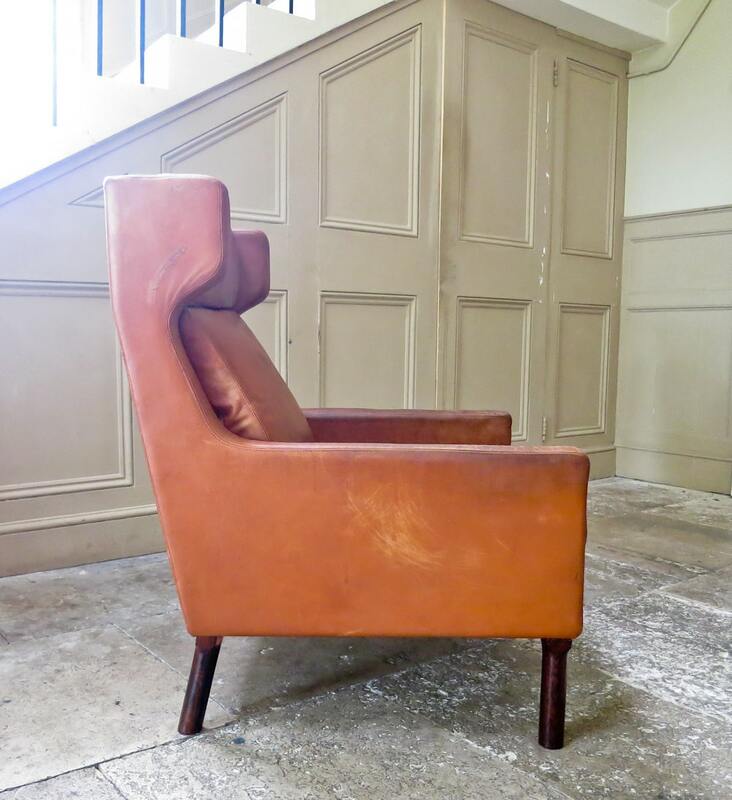 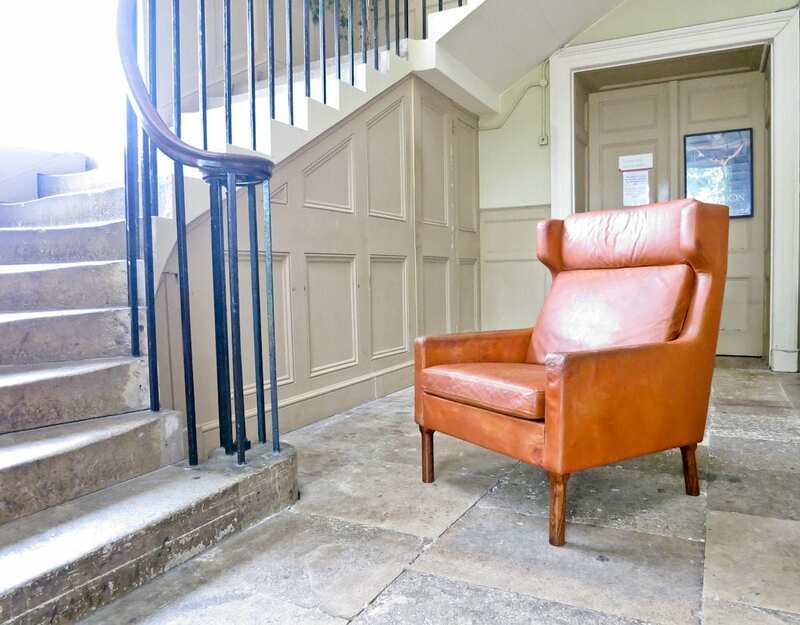 Beautiful rich colours and tones to the original leather makes this armchair stand out from the rest. 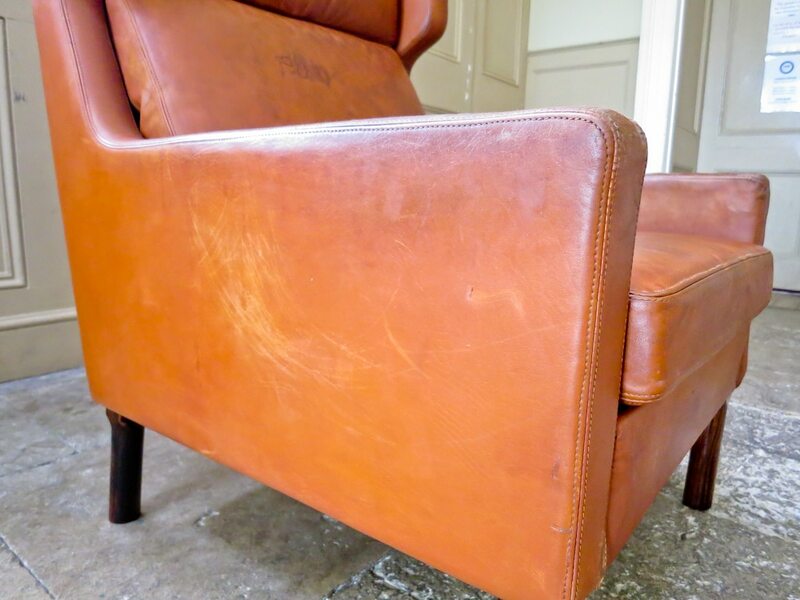 This stylish design by Arne Vodder was only produced by Fritz Hansen for two years in limited numbers and is a rare piece today. 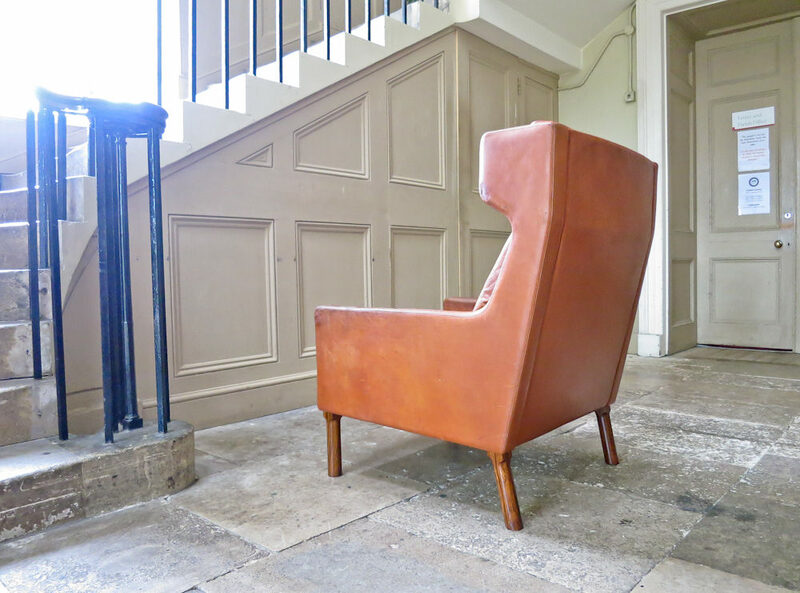 A comfortable chair that would look great in any interior.